Ada pertanyaan untuk Admire Thonburi Hotel? Ketika mengunjungi Bangkok, Anda akan merasa layaknya di rumah ketika berada di Admire Thonburi Hotel yang menawarkan akomodasi berkualitas dengan layanan luar biasa. Dengan lokasinya yang hanya dari pusat kota dan dari bandara, hotel bintang 3 ini menarik perhatian banyak wisatawan setiap tahun. Dengan lokasinya yang strategis, hotel ini menawarkan akses mudah ke destinasi yang wajib dikunjungi di kota ini. Admire Thonburi Hotel menawarkan pelayanan sempurna dan segala fasilitas penting untuk memanjakan para wisatawan. Para tamu hotel ini dapat menikmati fasilitas di tempat seperti WiFi gratis di semua kamar, layanan kebersihan harian, layanan taksi, penyimpanan barang, Wi-fi di tempat umum. Semua akomodasi tamu dilengkapi dengan fasilitas yang telah dirancang dengan baik demi menjaga kenyamanan. Hotel ini menawarkan fasilitas fantastis, termasuk karaoke, untuk membantu Anda bersantai setelah sepanjang hari beraktivitas di kota. Temukan paduan menarik dari pelayanan profesional dan sejumlah fasilitas di Admire Thonburi Hotel. Washer is located across the street at a hostel, but limited area to dry clothes. Loud guests from this hostel made it difficult to sleep at night. Rooms are a bit more run-down than the pictures, but reasonable. Quiet neighborhood. Good breakfast selection. With a secured parking space. Such a pity I wasn't able to explore the local food stalls in the area. I heard they are good. The hotel though is not properly set in the GPS. Had to make big U-TURN couple of times. TIP: The entryway is through the alleyway just before 7-11. 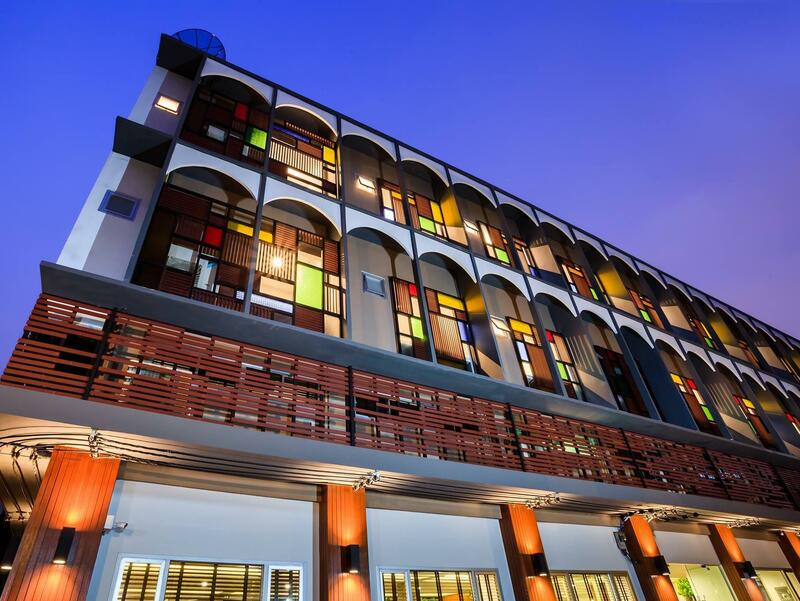 It's a really nice hostel with dorms and private rooms, a great bar, and friendly staff. Also, it's right across the river from downtown and on the BTS line, so it's a short taxi or train ride to most tourist attractions without the hassle of being in a touristy neighborhood. This was my 6th visit to Admire Thonburi. It is getting better each time I visit. The staff know me and greet me like a family member. The staff will do their utmost to make you at ease and meet your needs. The manager and most staff could speak very little English when I first started going there, they have worked extremely hard and within a short period of time the manager and many of the reception staff have exceptionally good English language skills. They love to practise and appreciate guests engaging in conversation. They are also receptive to any suggestions for improvement and ready to implement any good ideas. The manager has commenced works for a BBQ and social area to be developed and should be ready mid February 2016 her aim is to improve the experience for guests. When going to this area I won't stay anywhere else. I am looking forward to going back to see what has been done. Thanks Admire Thonburi for looking after me so well. Whilst it is not close in to central Bangkok it is only a nice stroll to the BTS station. A little difficult to locate as it is in a small soi some better signage on the street would be helpful. A fantastic hotel where the staff were some of the best I have come across for service, helpfulness and care. By the time I finished breakfast the room had been cleaned and serviced without asking. The towels were fashioned into swans as a nice touch. 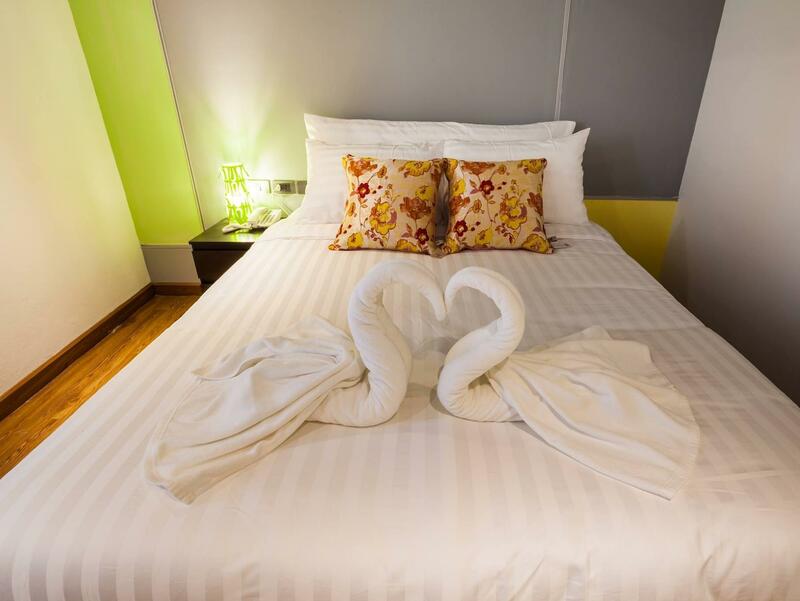 Great personalised service and I would recommend it to anyone wanting to stay in the Thonburi area. I stayed at this hotel for couple nights. There was really good, located on good location, just a few minutes from Taksin Monument. Breakfast was great! Staffs were polite, friendly and helpful. We booked a standard room which is small but adequate. Room has air con, fridge, electric shower. Staff were v helpful. The playground hostel opposite is owned by the same people and has a bar which was v convenient. The hotel is located off a main road and down a side street so is in a quiet location. You can walk to the other side of the river where all the main sights are or get a taxi or tuk tuk. Always ask the taxi to use the meter otherwise you will get ripped off. We would stay at this hotel again, but would probably upgrade to a larger room. There are washing machines opposite cost 50bht and a 7-11 just around the corner. There are drying facilities on the rooftop. Special thanks to Tom who gave us a great welcome and was so helpful throughout our stay. 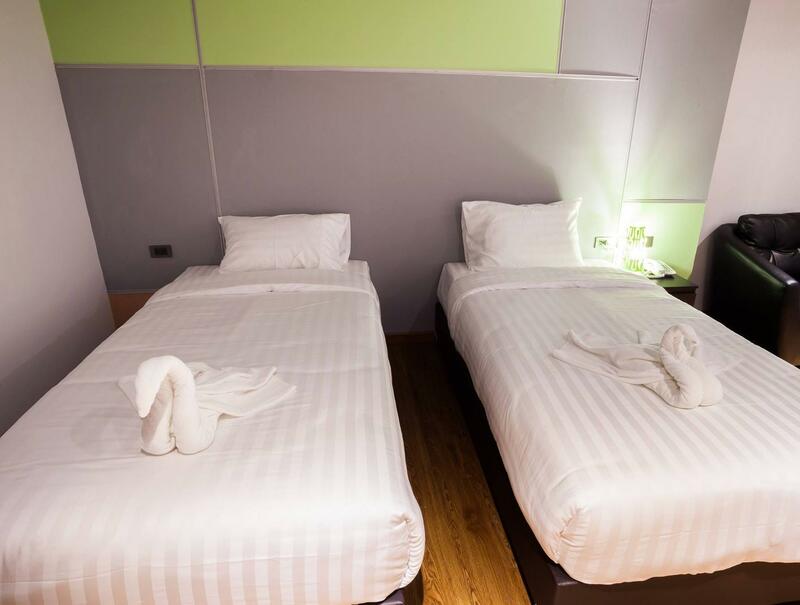 Big clean rooms, helpful staff, free water, air con (lifesaver) and a free breakfast. I couldn’t have asked for a better hotel in Bangkok. Plus, if you’re into partying the playground hostel opposite provides a selection of drinking games. Making it easy to meet people. Would definitely stay here again. There're Seven-Eleven shop, foods, etc. Take the BTS and get off at Wongwian Yai station. Catch the taxi to the hotel If you don't know how to tell taxi to get to the hotel. Just tell the taxi to go to Soi Intarapitak 1( From King Taksin Great Monument circle to Phet Kasem road). When you exit the circle Soi Intarapitak 1 is on your left handed side. Admire Thonburi was a excellent hotel. It isn't in the bust part of Bangkok so it has a more relaxed vibe. The breakfast offered included standard toast, eggs, and cereal, plus thai dishes, coffee, and water. Their bar across the street has great deals, billiards and a relaxed city vibe. Cho, the GM of the bar, makes a killer rainbow shot set & is such a good time. Cho & M made our stay memorable. They kept my boyfriend & I company at the bar & gave us advice on what to do in the city. Plus every time we needed a taxi, they personally went out to the street, had them come to the back to retrieve us, and informed the driver where to go. So even though the location wasn't a popular part of town, it made it worth the stay. On top of that, they hotel itself was well worth the money. 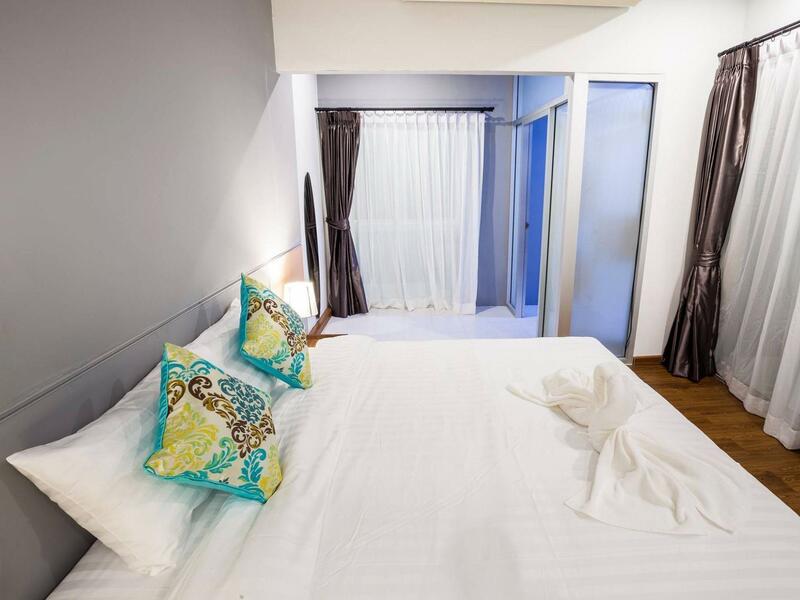 A standard private double bedroom was clean, had modern appliances and decoration, and gave off a homey meets hotel vibe. Also the decor and layout of the hotel made it extremely inviting & offered a communal space for people to congregate. I would recommend this hotel to anyone wanting a clean room, friendly staff, and safe hotel stay. All of the staff were exceptionally friendly and helpful. They offered help, carried my bags, called me taxis and gave drivers directions, gave me advice and directions, and provided anything I needed. I was so impressed by how modern, clean and nicely decorated my room was. It was really great and a very pleasant surprise in the final city of my travels. The location was okay but not much in the immediate area. I took a taxi to and from the main tourist area (Grand Palace, Wat Pho, Khao San Road, etc) which was cheap and took around 15-20 minutes. Once there, it's easy to walk to lots of things. The taxi ride from the hotel to this area was only 50-60 Bhat (insist on using the metre, and don't use a tuk tuk). I did have a hard time finding anywhere to eat at around 7pm (lots of street vendors though), and the restaurant inside is only open for breakfast. Overall I would highly recommend this hotel, just know that you can't walk to much. I stayed three nights here. 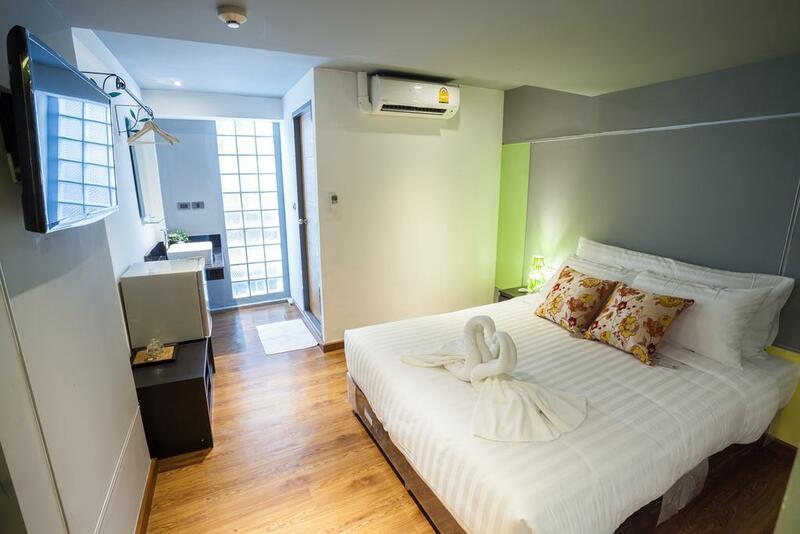 This is a small, brand new hotel on a side alley off Wongwian Yai in Thonburi, a ten-minute walk from the nearest Skytrain station. There are four floors counting the ground floor, but no elevator. The restaurant is small and serves breakfast with each reservation, but with only 45 rooms they have you select from a short menu to make your breakfast to order rather than put out a buffet. The hotel is on a side lane half a block into the alley one block from the traffic circle called Wongwian Yai ("Large Traffic Circle"). The local market is large with many food booths, only five minutes from the hotel down the opposite direction from the traffic circle and towards the SkyTrain. If you want a look at typical Bangkok life, this is a good choice. It's not a tourist area, but with easy access to the SkyTrain you can cross the river and get off for the water transport system up to the Grand Palace, or continue on into the downtown area. There are transfer points to the subway and the other SkyTrain line. The rooms are very clean, but the cheapest ones are too small for a desk and chair. The staff are very helpful and attentive. WiFi was mostly OK though I did have intermittent dropouts in my room at the far end of the second floor. Plus points: there is plenty soap, shampoo & conditioner, good pressure & temperature of water heater. Minus points: location difficult to find, small room, only can choose 2 menu from 7 available menu, starting breakfast time is too late, at 7 o'clock.